Ark Lighting were tasked by Lightwave (UK) Ltd under the project management of Mouchel’s Property division and on behalf of the client Clarksfield School, to produce bespoke waterproof linear LED lighting fixture’s. 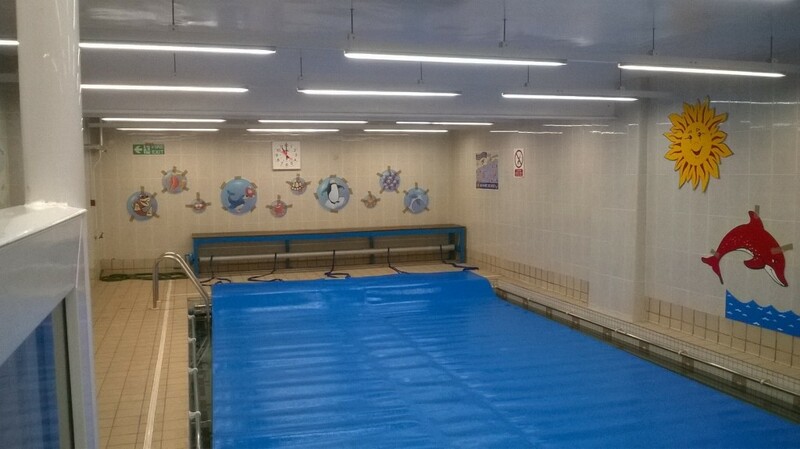 The fixtures are fully potted to maintain a solid IP rating suitable for this harsh environment and have 24v LED to maintain SELV compliance and have remote LED drivers positioned remotely in a control room outside of the swimming pool area. ‘It is all working very well and I am particularly pleased with the overall appearance. Please contact us if you have a similar requirement.